As a cultural institution we have an active engagement programmes with the school or college students, and a wide network of other educational institutions. 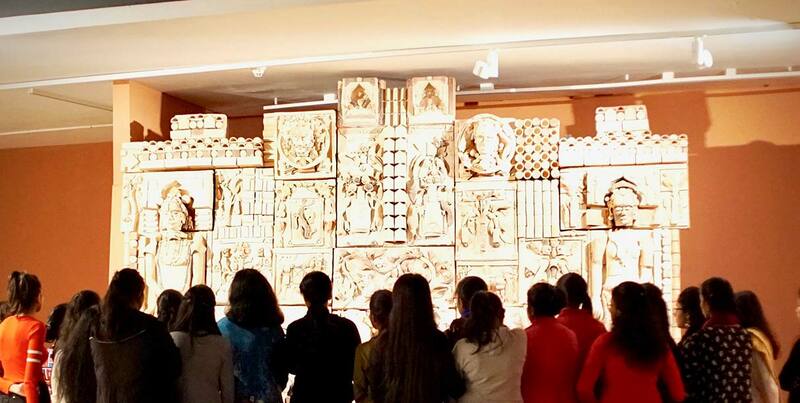 Over the years we have earned many nicknames such as Hathi wala museum (the ‘elephant museum’ after Bharti’s Kher large fibreglass sculpture) or Taj Mahal wala museum (after Sudarshan Shetty’s work installation made of over 250 miniature Taj Mahals ) given by the young school-goers who love visiting us. 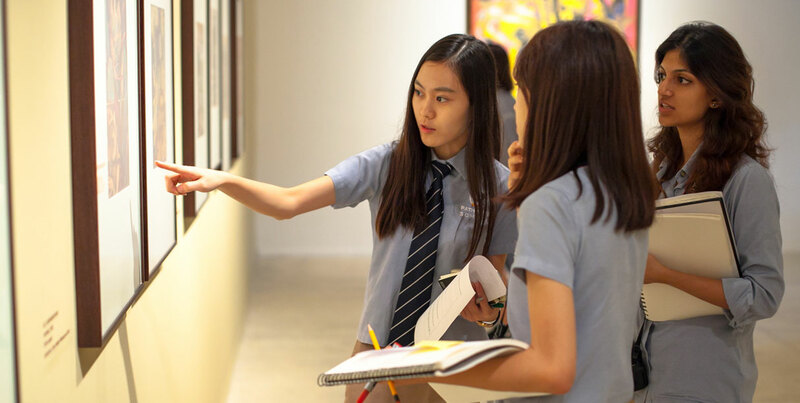 Students’ visits to KNMA include guided walkthroughs, workshops, story-telling sessions, and conversation-based exercises to push their imagination and understanding beyond what they learn in art classes. We use exhibitions as a starting point to encourage these young minds to ask more questions and even more so that they discover the answers themselves: How do artists tell stories? How does what they see inside a museum reflect the world they live in? Why is abstraction more difficult than realistic painting? How is a book illustration also art? 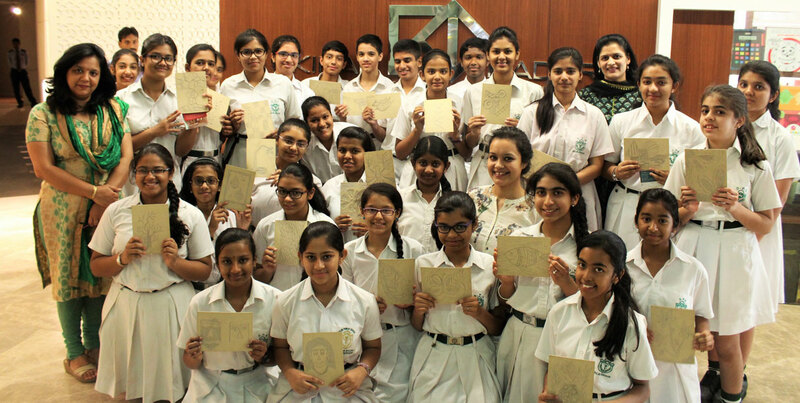 KNMA’s art educators design individual and collaborative exercises for the students to inculcate interdisciplinary learning and thinking. 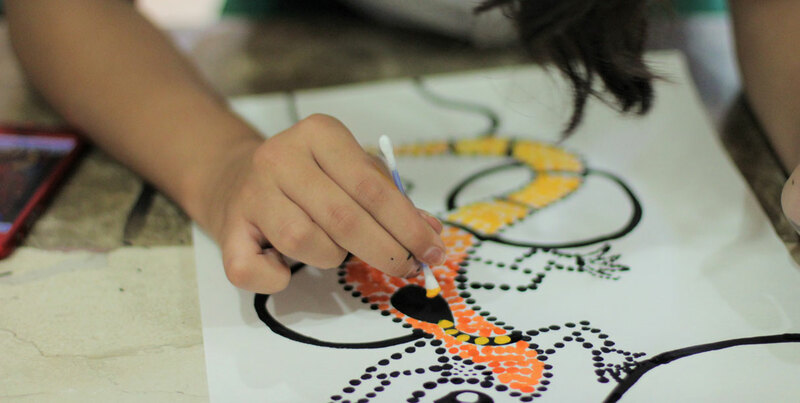 Contact us to join our art and craft workshops, special workshops designed according to current exhibitions, story-telling sessions, and reading exercises of famous artists like K. G. Subramanyan’s books written for children, and many more exciting things. 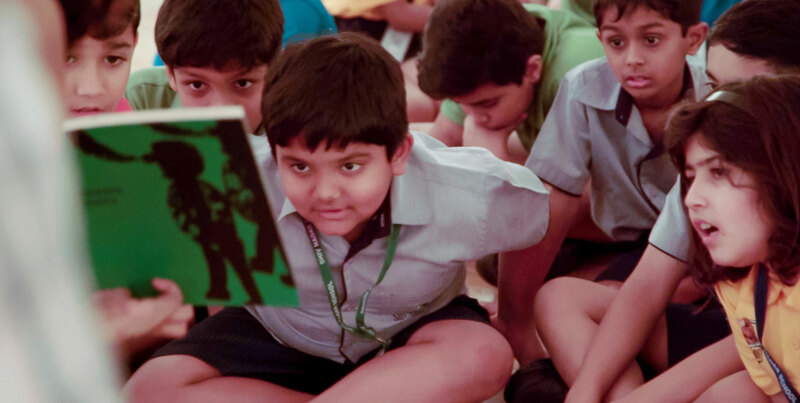 This is an opportunity for children and young adults who are book lovers to meet others like them, discover how literature and visual arts are interlinked, and nurture a love for both. 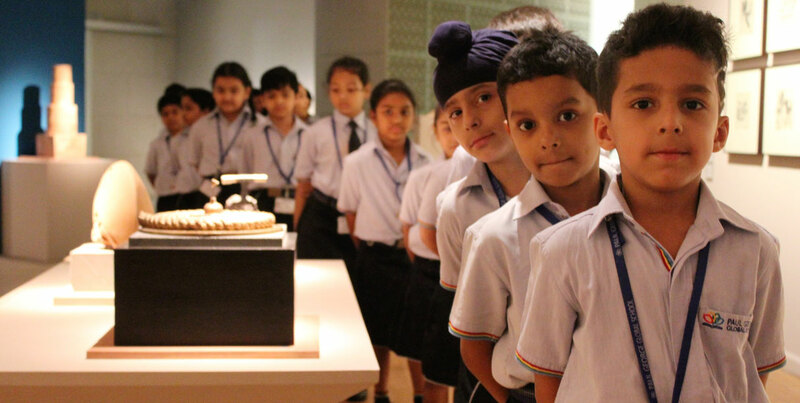 Students attend various curated walks and engage in discourse relating to the current shows on display at the Museum.